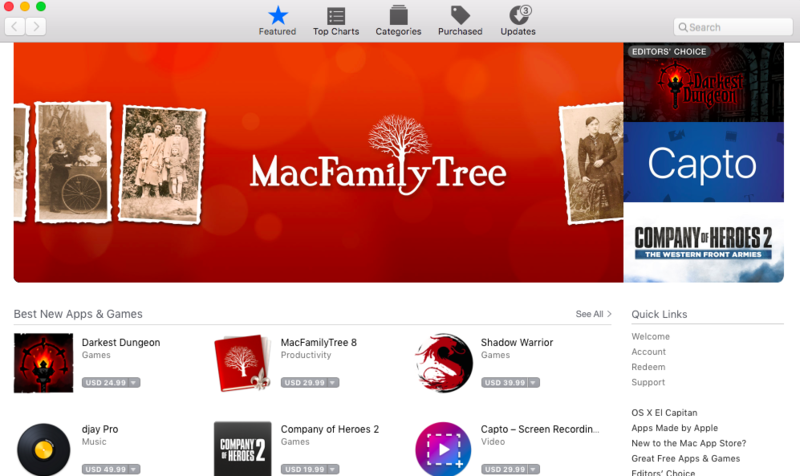 A growing number of Reddit and Twitter users are reporting about major problems with iOS and Mac App Store that fail to search for popular apps and display correct search results. For example, many users see iPhone apps listed as iPad-only applications and vise versa. According to the latest report from an unknown user of the Chinese social network Weibo, the next generation iPhone called the iPhone 7 may feature a slightly better battery than the iPhone 6s or iPhone 6s Plus. As noted by the user, the 4.7-inch iPhone 7 will get a 1735 mAh battery and the 5.5-inch iPhone 7 Plus or iPhone 7 Pro will be equipped with 2810 mAh battery. 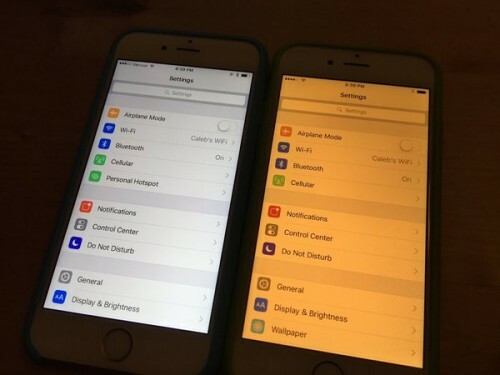 In case you don't know, the current iPhone 6s and iPhone 6s Plus have 1715 mAh and 2750 mAh respectively. It is currently unknown how the better battery will affect the thickness of the devices, but rumors suggest that new handsets may become thinner than their predecessors. It is Sunday today, which means it’s high time I told you about the most interesting posts of the past seven days. Most of the articles this week deal with Apple’s financial results in the second quarter of this year, next-generation iPhone as well as with the Apple Watch and the current iPhone 6s. 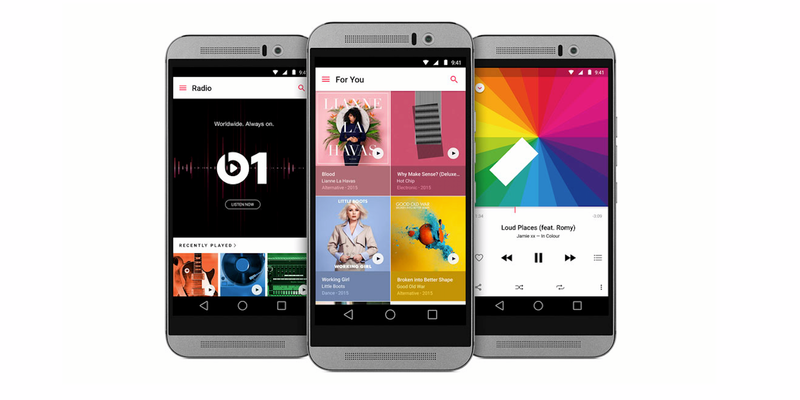 Apple has recently updated the Apple Music app for Android users. The updated version now lets users play music videos on their non-Apple handsets and supports family membership plans of the streaming music service. The ability to watch videos on Apple Music was a feature requested by thousands of users, so it’s nice Apple has finally added it. Apple has recently released the updated version of its new Safari Technology Preview browser, the third public beta of iOS 9.3.2 and the third developer beta of OS X 10.11.5 El Capitan. The aforementioned software is already available for download, so if you need it for testing purposes, go ahead and get it right now. According to the latest report from The Wall Street Journal, the next-generation Apple Watch may get the support of cellular network and a faster processor. These improvements should make the wearable device more independent and allow people to use the smartwatch without their phone close at hand. According to the latest rumors shared by reliable supply chain sources, the next-generation iPhone may become waterproof and dustproof and get a touch sensitive Home button instead of the physical one. The rumors come from Digitimes, a Taiwanese news website that has a rather mixed track record. Anyway, it goes in line with earlier reports suggesting Apple was planning to equip the iPhone 7 and iPhone 7 Plus with a new Home button to make the device thinner and lighter. According to the latest report published by reliable KGI Securities analyst Ming-Chi Kuo, Apple’s iPhone shipments in 2016 may be lower than those of 2014. 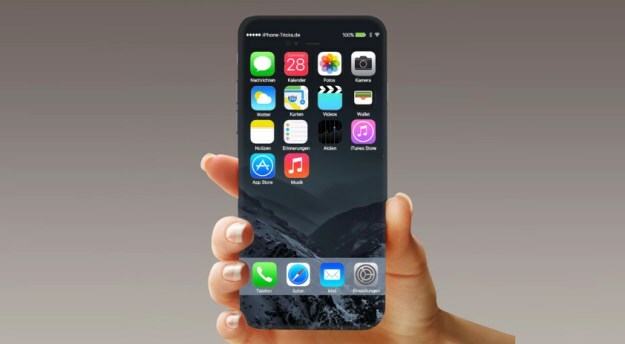 The expert believes that due to the lack of ‘attractive’ updates in the iPhone 7, the company may ship around 190-205 million iPhone units this year. Under the “worst case scenario,” Apple may become the only top-five rating vendor to see a decline in smartphone shipments. Depending on the actual sales results, the decline may account for 11.6% or 18.1% year-over-year. 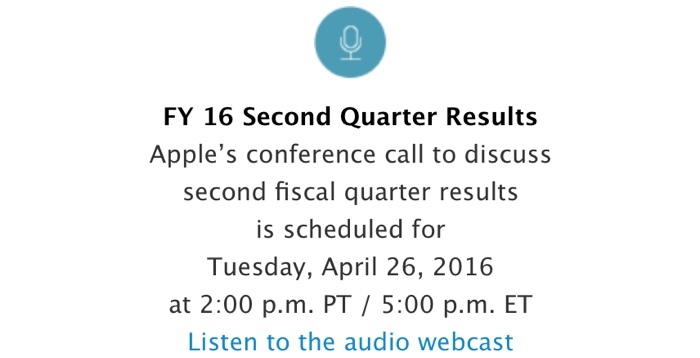 Apple will announce the financial results in the second quarter of fiscal 2016 on Tuesday, April 26th. Back in March, it was reported that the company will reveal the information about iPhone, iPad, Apple Watch and Mac sales as well as the amount of money earned during the last couple of months on Monday, April 25th. 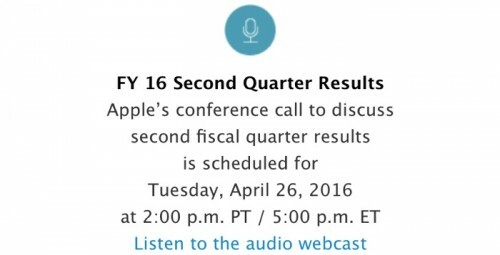 After the conference call, Apple is expected to share the audio from the event and publish a detailed report on the financial gains, so stay tuned for more updates on the topic. Apple has recently unveiled the 4-inch iPhone SE that is extremely popular among the customers in China and other countries. This device may help Apple generate record revenue in this quarter. 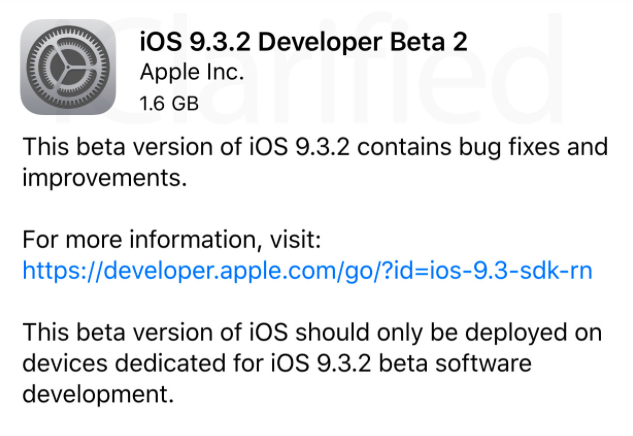 Aside from seeding the second beta of iOS 9.3.2 to developers for testing, Apple has released OS X 10.11.5 El Capitan Beta 2. The most-recent update is available through Apple’s dev portal or via Software Update mechanism of the Mac App Store and contains minor stability and performance improvements. 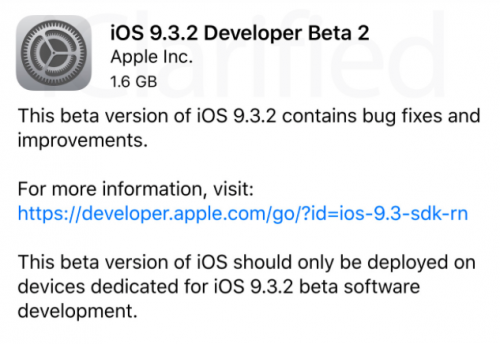 Apple has released the second beta of iOS 9.3.2 to developers. The latest update contains a number of bug fixes, stability improvements and security enhancement and should be installed only by those who need the software for testing purposes. It is not recommended to install the latest build on your main device as it can cause compatibility issues, crashes and freezes. 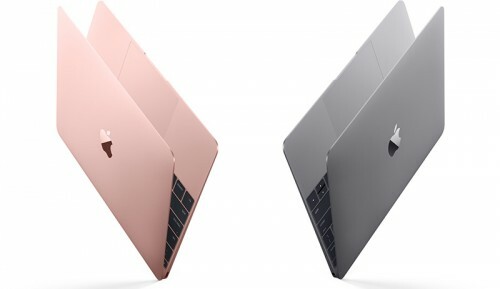 Earlier this week, Apple released updated 12-inch MacBook models. According to the latest Geekbench results shared by reliable insiders, the laptop with a 1.2GHz processor is about 15% to 18% faster than its predecessor. In the single-core test the laptop managed to earn 2,894 points and in the multi-core test the result was equal to 5,845 points. Apart from that, the new MacBook has a 41.4-watt-hour battery that helps it to work up to 9 hours on a single charge. Apple has today released new 12-inch MacBook models with updated Skylake Intel Core M processors, Intel HD Graphics 515, faster SSD storage and RAM and additional hour of battery life. 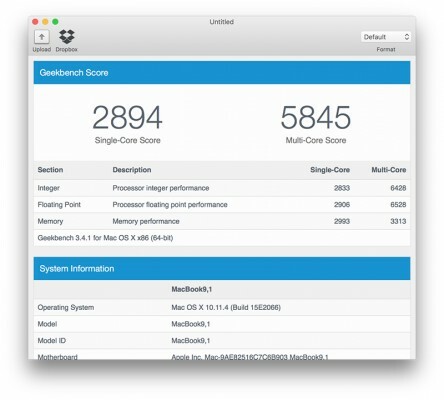 Externally, the laptops look just like the 2015 models, however, according to Apple, they are 25% faster. Apart from that, there’s now a rose gold 12-inch MacBook that matches the iPhone lineup. 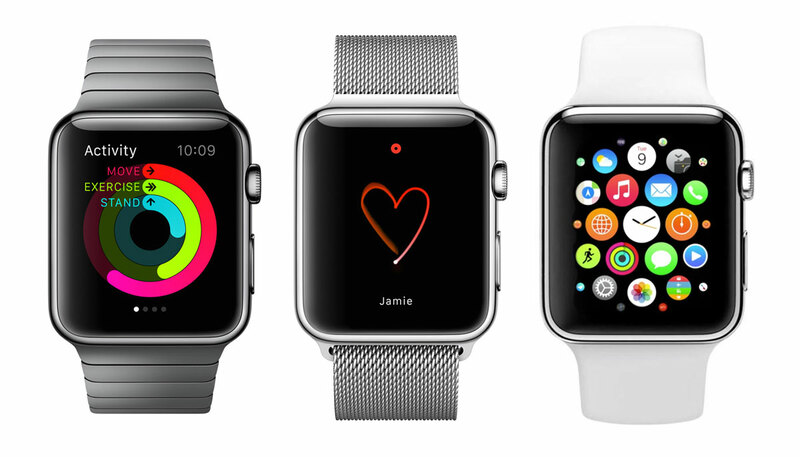 Apple to Unveil New Thinner Apple Watch in June? According to the latest report from Drexel Hamilton analyst Brian White, Apple will unveil the new Apple Watch at the upcoming Worldwide Developers Conference scheduled for June. The second-generation smartwatch is expected to become 20-40% thinner than the current model and may get a number of other new features. HP has just unveiled something the company calls “the thinnest notebook in the world”. The laptop is called the Spectre and it’s only 10.4mm thick. Its rival, the 12-inch MacBook introduced in 2015 is 13.1mm thick. In terms of hardware, these devices are different too. The new HP notebook is equipped with Intel Core i5 or i7 CPU, which is better than the Intel Core M processor included in the ultra-thin MacBook. In general, the device has a premium look and feel and costs $1,170. The pre-orders go live April 25th. Below you can take a look at the video showing the new HP Spectre.